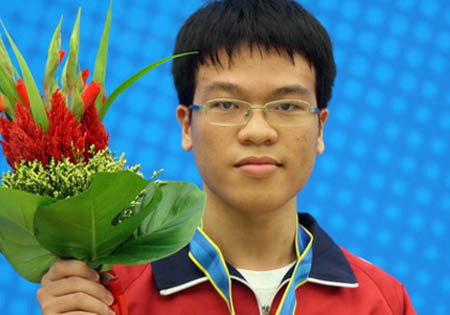 HCM City (VNS) — Viet Nam's No 1 chess player Le Quang Liem opened his campaign at the 4th HDBank International Open Chess Tournament with a facile victory over Borsos Bogdan of Ukraine in HCM City yesterday. His compatriots stumbled in other matches, with Tu Hoang Thong and Dao Thien Hai losing to Liu Xiangyi and Tin Jingyao of Singapore; and Nguyen Sy Hung losing to Yap Kim Steven of the Philippines. The 9-round tournament, set to wrap up on March 15, will offer US$35,000 in prizes. The male winner will earn $12,000 and the top woman will claim $3,000.